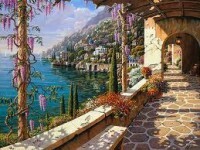 I would dare to say that it is almost impossible to find bad accommodation in Capri, given the long experience the island has as a resort and the high income it receives from tourism. 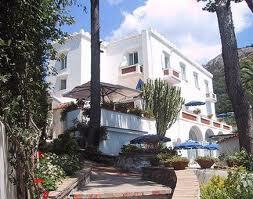 However it is useful to see what is the Best accommodation in Capri. Centrally located, what strikes about this villa is not only the luxurious furniture and the high level of comfort it offers, but also the vicinity of one of the best restaurants on the island, Da Paolino. It takes you only 5 minutes to reach one of the many amazing bathing beaches in the area and in 15 minutes by car you can reach the Piazzetta Di Capri, only 5 minutes away from the harbor. 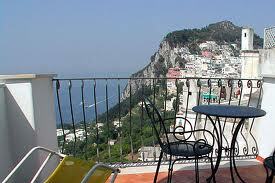 This hotel could be considered as the Best accommodation in Capri. It was built in the early 19th century by a retired naval officer, who decided to invest in a business that would still remind himself of his old occupation. He thus built a hotel like a prow of a ship, hence its name, and made sure everything is done so that it becomes the best hotel in the area. The view from this place is absolutely amazing. 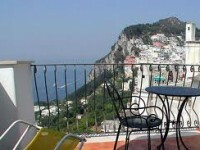 Just imagine yourself having breakfast looking out over the harbor, to the magnificent Vesuvius or to thebay ofNaples. 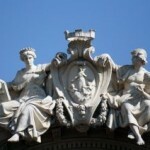 All rooms are fully equipped and the staff is truly professional and helpful. 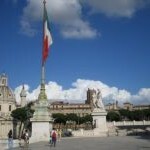 If you are travelling on a low budget, then Bed & Breakfast II Tramonto is what you are looking for. Located on Via Migliera 30/B, this accommodation in quite centrally located and offers everything you could wish for at a convenient price. The breakfast is diversified and abundant and the personnel are really courteous and will do their best to make your stay as pleasant as possible. This amazing hotel has been residence of Queen of Sweden; therefore you can easily anticipate the exquisite taste of the decor. 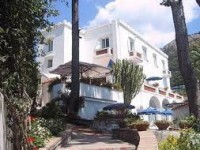 Hotel Casa Caprile Capri is an elegant place, offering 20 rooms and 2 suites surrounded by luxurious furniture and exotic plants. 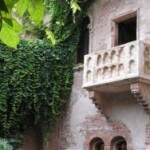 Only some rooms dispose of a balcony or terrace, but the view is breathtaking no matter the room you were given. The prices can be quite high, but the comfort and quality of the services you will be provided with will worth any cent.